S1 is a bit slow to get going but builds a great world. 2 and 3 make the show. More please! Start from the beginning. Give it a try. The sixth episode of the third season is delayed. It will be released on Wednesday August 8th. Until then, enjoy this Q&A with Marc Sollinger and Kristen DiMercurio. Nicholas and Christine listen to a tape loop. Nicholas and Christine listen to a tape loop. There will be a new episode of Archive 81 on Wednesday, June 13th. Twitter: twitter.com/Archive81 Facebook: www.facebook.com/Archive81/ Website: archive81.com Email: archive81podcast@gmail.com Tumblr: archive81.tumblr.com Patreon: www.patreon.com/archive81 Merch: dead-signals.myshopify.com/collections/all Go to hellofresh.com/deadsignals30 and use the code deadsignals30 to get $30 off your first week of deliveries. Nicholas and Christine begin a ritual. There will be a new episode of Archive 81 on Wednesday, May 30th. Twitter: twitter.com/Archive81 Facebook: www.facebook.com/Archive81/ Website: archive81.com Email: archive81podcast@gmail.com Tumblr: archive81.tumblr.com Patreon: www.patreon.com/archive81 Merch: dead-signals.myshopify.com/collections/all Go to hellofresh.com/deadsignals30 and use the code deadsignals30 to get $30 off your first week of deliveries. So... due to illness our regularly scheduled episode is delayed. BUT, never fear, we'll have it to you on Saturday, April 1st. AND, because we feel bad about this, we have two very special surprises for you. The first is episode 1 of Transmission, which is an audio drama that Dan and I worked on together in college. I think we’ve grown a lot as producers and writers since we released this, but it’s still really fun. And if you listen to the episode and just have to know what happens… the full run of the show is available exclusively to our Patreon backers. Go to patreon.com/archive81, donate, and listen to all ten episodes! After that, we have the original version of Lights You Can’t See, the song from episode 6, this time with Dan’s vocals. We hope you enjoy it. Once again, sorry about the delay, and thanks for all the support! 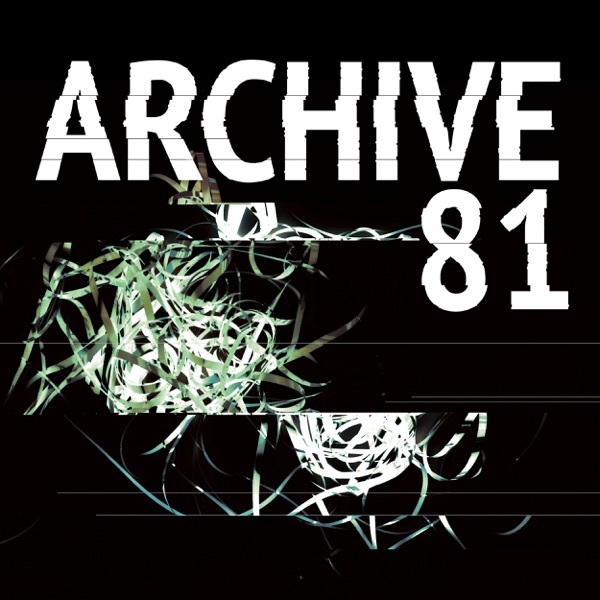 Episode 10 has just been released and with that, the first season of Archive 81 is over. First of all... thank you. Thank you all so much for listening, for the kind words and reviews, and for emailing us your conspiracy theories about the Visser building. It all means a lot to us and we couldn’t have crafted this weird and wonderful tale without you. Right now, we're hard at on Season 2 of Archive 81, which will come out towards the end of the year. But to tide you over until then, we have a brand new audio drama podcast coming out in just two weeks. It’s called The Deep Vault, and it’s a sci-fi adventure story featuring robots, gunslingers, the apocalypse and more. You can subscribe to it RIGHT NOW by searching for it on iTunes, or wherever you download podcasts. To learn more about it, follow us on Twitter @thedeepvault, visit our website deepvaultpodcast.com, or check out our The Deep Vault Facebook page. The teaser is up now, so take a listen. And if you feel so inclined, give The Deep Vault a review on iTunes. It really helps. Until Season 2. Remember, record everything.